NO PURCHASE OR PAYMENT OF ANY KIND IS NECESSARY TO ENTER OR WIN. A PURCHASE OR PAYMENT WILL NOT INCREASE ENTRANT’S CHANCE OF WINNING. 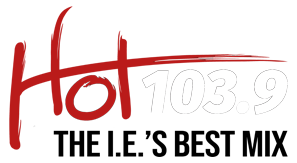 These rules govern the KHTI: promotion “Hot 1039’s I.E. VIP: Summerfest” promotion (the “Promotion”), which is being conducted by KHTI (the “Station”). To enter, on-air, listen to the Station each weekday during the Entry Period for the announcement of the cue to call. Upon hearing the cue to call, the 20th caller (as announced by the on-air personality prior to the cue to call) to get through to the Station contest line at 1-909-890-1010 will win qualifying prizes for the trip for two to Summerfest 2017 in Milwaukee. At the time of entrant’s call, entrant will be required to provide all information requested including entrant’s full name, complete address (including zip code), day and evening phone numbers and date of birth in order to be eligible to win. P.O. Boxes are not permitted. In the event that the selected caller is disconnected or is found to be ineligible, the next eligible caller who successfully makes it through on the call-in line and completes the call will be a winner. There is no limit to the number of times a listener may attempt to call in to win, but a listener may be a winner only once. Only one (1) entry per person is permitted regardless of the method of entry. The Promotion is open to all persons who are legal U.S. residents 21 years of age or older who reside in the State of California. Void where prohibited or restricted by law. Employees, officers, directors and agents of the Station, All Pro Broadcasting Inc., Southwest Airlines Co. their corporate affiliates, Station’s advertising and promotional agencies, participating sponsors, prize suppliers, their respective affiliates (collectively, the “Promotion Entities”) and other radio stations in the Los Angeles and Riverside-San Bernardino metropolitan area, the members of their immediate families (spouse, parents, siblings or children) and those living in the same household of each (whether related or not), are ineligible to enter or win. Entrants who have previously been disqualified from entering All Pro Broadcasting radio promotions are ineligible to participate in this promotion. This promotion is subject to all applicable federal, state and local laws and regulations. By participating, entrant agrees to comply with these Official Rules and the decisions of the Station, which are final and binding in all respects. Listeners are eligible to win prize(s) in a Station-conducted Promotion (both on-air and online) only once every thirty (30) days Only one (1) winner per household is permitted in any Station-conducted promotion. The winner(s) may be required to present valid government-issued photo identification and must provide winner’s complete address, date of birth and phone number to claim a prize(s). Entrants are required to provide truthful information and the Station will reject and delete any entry that it discovers to be false or fraudulent. The Station will disqualify any entrant who does not meet the eligibility requirements and will also delete any entry as required by law. The winner(s) will be solely responsible for all taxes and all other fees and expenses not specified herein associated with the receipt and use of the prize(s). Trips are non-transferable, non-refundable and cannot be exchanged for cash. Winners must be at least 18 years old to redeem the prize. Trip may not be sold to a third party. If a prize-related event is unable to take place as scheduled, for reasons such as cancellation, preemption, postponement or unavailability, including for weather, or for any reason beyond the control of the Promotion Entities, their sole responsibility to the winner(s) will be to award the remaining available elements of the prize(s) and no substitution or compensation will be provided for the unawarded elements of the prize(s). The Station, in its sole discretion, reserves the right to deny entry to or to remove the winner(s) and/or guest(s) if either engages in disruptive behavior or in a manner with intent to annoy, abuse, threaten or harass any other person at the event. All prizes or prize certificates must be claimed at the office of the Station at the address below during regular business hours. The winner(s) will forfeit any prize(s) or prize certificate(s) not claimed within thirty (30) days of winning. In the event that a prize or prize certificate is mailed or shipped to the winner(s), it will be with the prior written consent of the winner(s) and therefore, winner(s) assumes the risk of its loss. The Station is not responsible for the safe arrival of a prize(s) or prize certificate(s). Prize(s) is not transferable, and no substitution, assignment or cash equivalent of prize(s) is permitted, except by the Station (solely at its discretion), which reserves the right to substitute a prize or prize portion with another prize or prize portion of greater or equal value. The prize(s) are expressly limited to the item(s) listed above and unless otherwise expressly specified, do not include taxes, gratuities or any other expenses. Promotion Entities are not responsible for winners’ limitations that prevent acceptance or use of prize(s). Entrants acknowledge that the Promotion Entities have not made, and are not in any manner responsible or liable for, any warranties, representations or guarantees, and hereby disclaim any and all warranties, expressed or implied, whether by contract or law, concerning any prize, including without limitation, implied warranties of quality, merchantability, mechanical condition or fitness for a particular purpose. Other restrictions may apply. 2 Red Section tickets at Summerfest to see The Chainsmokers. Value: $205.10 Air Travel Restrictions: Air travel is subject to Southwest Airlines terms and conditions; certain restrictions may apply. Roundtrip travel for two (2) on Southwest Airlines will be awarded in the form of four (4) Southwest flight e-passes. Each Southwest flight e-pass is valid for one-way travel on Southwest Airlines-operated, published, scheduled service in the United States and Puerto Rico. The Southwest flight e-pass will bear the date of issue and the date of expiration. Expiration dates will not be extended, and travel must be completed on or before the expiration date. The Southwest flight e-pass is not valid on interline or codeshare service. The Southwest flight e-pass is non-refundable and is not redeemable for cash or credit. The Southwest flight e-pass will not be replaced for any reason, including, without limitation, if lost, stolen, or fraudulently used. The Southwest flight e-pass is non-transferrable and cannot be sold to a third party. Sale, auction, or re-tendering of the Southwest flight e-pass for money or otherwise is strictly prohibited. The Southwest flight e-pass may not be used for promotion purposes unless previously approved by Southwest Airlines. Any suspected fraud, misrepresentation, misuse, abuse or violation of the Southwest flight e-pass rules and regulations may result in cancellation of the Southwest flight e-pass(es). Southwest flight e-pass holders are required to be nineteen (19) years of age or older and a legal U.S. resident. However, the recipient of a Southwest flight e-pass may arrange travel for another person if done without selling or bartering a Southwest flight e-pass. Air transportation by Southwest Airlines is subject to Southwest Airlines’ Passenger Contract of Carriage set out at https://www.southwest.com/html/about-southwest/index.html?clk=GFOOTER-CONTRACT-OF-CARRIAGE#_tab_6. If the winner does not live in a city served by Southwest Airlines, he/she is responsible for transportation to and from the nearest airport served by Southwest Airlines. Winner is responsible for booking all travel and paying all applicable international taxes and fees. Travel is based on seat availability. Seats on any desired flight are not guaranteed. Winner and guest(s) must travel on the same itinerary and are responsible for obtaining all required travel documents. Winner and guest(s) must have valid government-issued photo identification at the time of travel. If a travel guest is a minor, winner must be his/her parent/guardian, or be accompanied by his/her parent/guardian. There will be a total of one (1) randomly scheduled playtime each weekday during the On-Air Entry Period. A total of one (1) daily potential winner, one (1) winner per designated cue to call-in playtime, subject to verification, shall be selected to win the prize as announced for a total of twenty three (23) possible On-Air Winners for the Sweepstakes Period. As a condition of participating in the Sweepstakes, entrants agree and acknowledge that in order to receive a prize and be deemed a winner, entrants must sign an official waiver form provided by the Company and agree to the terms herein, including but not limited to the prize conditions. If eligible entrants include minors, a parent or guardian of such eligible minor must sign a release on behalf of the minor to be eligible to receive a prize, but the Company reserves the right to refuse to award a prize to or on behalf of any minor. The potential prize winner and, if a potential prize winner who is an eligible minor in his/her state of residence, the potential prize winner’s parent or guardian, may (in Company’s sole discretion) be required to sign and return a declaration of eligibility and any other form necessary to verify eligibility, along with the required releases within twenty four (24) hours after the first (1st) delivery attempt to entrants e-mail address in order for the potential prize winner to be qualified for the prize, unless otherwise stated herein or at the time of notification. The potential prize winner’s failure to return all required forms within this time period may result in the potential winner being disqualified and an alternate winner may be randomly selected from among all remaining eligible entries, as determined by the Company in its sole discretion. Payments of all federal, state and local taxes are solely the responsibility of the winner(s). The winner(s) may be required to complete and submit an IRS Form W-9 with the winner’s full Social Security Number or the equivalent for receipt of any prize(s) and will be required to complete and submit an IRS Form W-9 with the winner’s full Social Security Number or the equivalent for receipt of any prize(s) valued at $600 or more or for any prizes awarded by the Station (or any other All Pro Broadcasting Radio station in Station’s market) in a calendar year with an aggregate value of $600 or more. Failure to submit a complete W-9 or equivalent will result in forfeiture of the prize(s). Such winnings of $600 or more will be reported to the IRS. Participation in the Promotion and/or acceptance of prize(s) constitutes entrant’s and/or winner’s (and guest’s, if applicable) permission for the Station or its designees to interview the winner(s) (or guest(s), if applicable), to photograph, film and record each winner (or guest, if applicable), and to use in commerce and in any media, now or hereafter known, throughout the world, in perpetuity, his/her name, prize(s) won, hometown (city and state), biographic information, likeness, photograph, voice, audio or video recording and/or any statements made by him/her regarding the Station, the Promotion and/or its sponsor(s) for purposes of trade, publicity or promotion without notice or additional compensation, notification or permission, in perpetuity, except where prohibited by law. Each winner (and guest, if applicable) agrees to sign a publicity release confirming such consent prior to acceptance of the prize, except where prohibited by law. Participation in the Promotion and/or acceptance of prize(s) constitutes entrant’s and/or winner’s (and guest’s, if applicable) agreement to release, discharge, and hold harmless the Promotion Entities and their respective officers, shareholders, directors, employees, agents and representatives and all of their successors and assigns (collectively, the “Released Parties”) from and against any and all claims or liability arising directly or indirectly from any prize(s) awarded and participation in the Promotion, including, but not limited to, personal injury, death or damage to or loss of property, which may occur in connection with, preparation for, travel to, or participation in the Promotion, or delivery, possession, acceptance and/or use or misuse of any prize or participation in any Promotion-related activity, including, but not limited to, any claims based on publicity rights, defamation, invasion of privacy and merchandise delivery. If for any reason this Promotion cannot be executed as planned, including but not limited to, as a result of infection by computer virus, tampering, unauthorized intervention, fraud, technical failures, or any other causes beyond the control of the Released Parties that corrupt or affect the security, administration, fairness, integrity or proper conduct of the Promotion, or if the Promotion is compromised or becomes technically corrupted in any way, electronically or otherwise, the Station reserves the right to cancel, terminate, suspend and/or modify the Promotion. If the Promotion is terminated before the original end date, the Station reserves the right, in its sole discretion to, to modify the procedure for selecting winner(s), unless the nature of the event giving rise to such termination renders it impossible to select winner(s). The Released Parties are not responsible for (i) typographical or other errors in the printing, the offering or the administration of the Promotion or in the announcement of a prize(s); (ii) incorrect or inaccurate entry information, human error, failure or omission; (iii) unauthorized human intervention; (iv) lost, stolen, mangled, misdirected, postage due, illegible, incomplete or late entries; (v) entries not received due to difficulty accessing the internet, service outage or delays, computer difficulties, telephone service outages, delays, busy signals, poor signals or signal interference, accidental disconnection or equipment malfunctions or any other technological problems or failures of any kind; or (vi) any cancellations, delays, diversions, substitutions or omissions whatsoever by any transportation providers or any other persons or entities providing any services to winner(s) (and guest(s), if applicable) including any results thereof such as changes in services or location necessitated by same. Further, the Released Parties are not responsible if any part of a Promotion prize cannot be awarded due to acts of God, acts of war, natural disasters, weather, acts of terrorism or other factors beyond the Released Parties’ control. Any attempt by any entrant to obtain more than the stated number of entries by using multiple/different email addresses, identities, registrations and logins or any other methods may void that entrant’s entries and that entrant may be disqualified. The use of any device to automate entry is prohibited. Any use of robotic, repetitive, automatic, programmed or similar entry methods or agents (including, but not limited to, promotion entry services or proxies) will void all entries by that entrant at the Station’s discretion. The Station’s or its Promotion administrator’s computer or telephone system is the official time keeping device for this Promotion. In the event of a dispute, online entries will be deemed to have been submitted by the Authorized Account Holder. The “Authorized Account Holder” is the natural person who (i) is assigned to an email address by an internet access provider, online service provider or other organization that is responsible for assigning email addresses for the domain associated with the submitted email address or (ii) is assigned to the text or mobile telephone number by a telecommunications provider, or other organization that is responsible for assigning such numbers. The Station, in its sole discretion, reserves the right to disqualify any person who it believes is tampering with the entry process or the operation of the Promotion. Failure to comply with the rules of the Promotion may result in an entrant’s disqualification and/or forfeiture of any prize or prizes. If the Station makes a good faith determination that an entrant has cheated or committed fraudulent activity in connection with a Promotion, the Station may disqualify that entrant from entering and/or winning this and any or all future Station-administered Promotions and seek damages to the fullest extent permitted by law. The Station reserves the right to make changes to the rules of the Promotion, including, without limitation, the substitution of a prize(s) of equivalent value, which will become effective upon announcement. If due to circumstances beyond the control of the Promotion Entities, any competition or prize-related event or travel is delayed, rescheduled, postponed or cancelled, the Station reserves the right, but not the obligation, to cancel, terminate, suspend or modify the Promotion and shall not be required to award a substitute prize(s). Except where prohibited, by entering the Promotion, each entrant agrees that: (1) any and all disputes, claims and causes of action arising out of or connected with this Promotion or any prize(s) awarded shall be resolved individually, without resort to any form of class action, and exclusively by state or federal courts; (2) any and all claims, judgments and awards shall be limited to actual out-of-pocket costs incurred, but in no event shall such costs include attorneys’ fees; and (3) no punitive, incidental, special, consequential or other damages, including, without limitation, lost profits may be awarded (collectively, “Special Damages”), and (4) entrant hereby waives all rights to claim Special Damages and all rights to have any damages awarded multiplied or increased. Administrator: KHTI. 242 E. Airport Dr, Suite 106, San Bernardino, CA 92408.